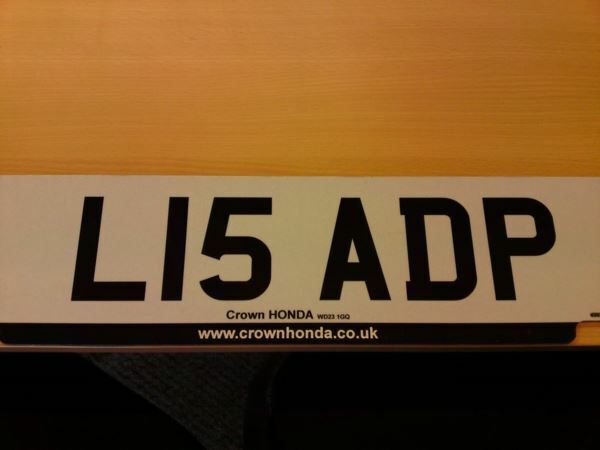 REG NUMBER FOR SALE L15A DP NUMBER IS ON RETENSION CERTIFICATE ON READY TO GO ON ANY VEHICLE THAT IS OLDER THAN 1994, FOR MORE INFORMATION PLEASE E-MAIL TO MWCARSALES@BTCONNECT.COM OR TELEPHONE ON 01923 250220 ANYTIME. M W Car Sales are a credit broker and not a lender. We are Authorised and Regulated by the Financial Conduct Authority. FCA No: 500786 Finance is Subject to status. Other offers may be available but cannot be used in conjunction with this offer. We work with a number of carefully selected credit providers who may be able to offer you finance for your purchase.